Pastor Trafaina Assery Nkya was appointed by the General Assembly in 2012 to assume the position of Assistant to the Bishop at South East of Lake Victoria Diocese and Dean of the Ebenezer Cathedral in Shninyaga. He was previously the parish pastor at Mwadui Parish in Shinyanga region. He was born in Kilimanjaro region and educated at area schools. 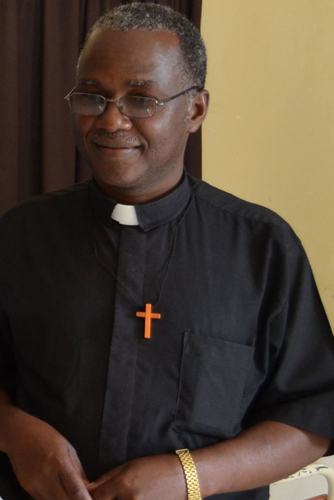 He received his Diploma in Theology at Luhija Theological College in Kagera region and took additional courses in Youth Fostering Training, Leadership Training, Financial Management, Computers, and Pastoral Counseling.